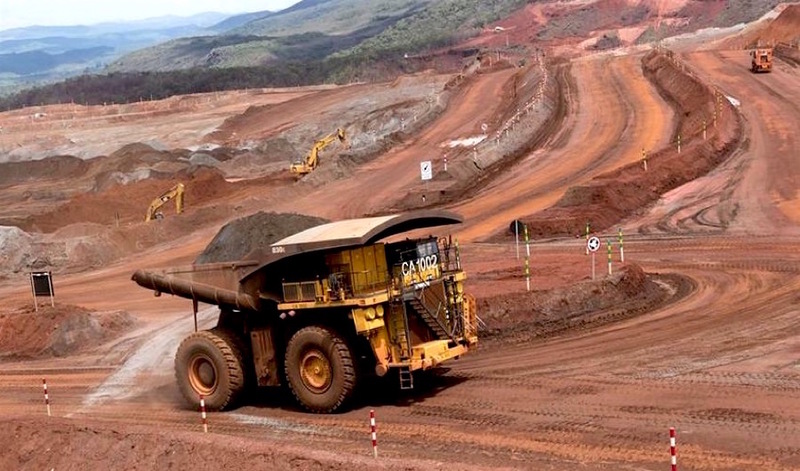 The Brazilian state of Minas Gerais slapped a 125.6 million real ($37.73 million) fine on Anglo American on Wednesday for pollution caused by one of two spills last month from a pipeline that carries iron ore from the company's Minas-Rio mine. The leak in the pipeline, which carries slurry to a port in Rio de Janeiro state, occurred on March 12 and forced the miner to suspend operations until March 27. A second leak in the same pipeline 400 meters away and two days after the resumption prompted the company to again halt operations for 90 days while it completes an inspection. The initial spill "caused pollution and environmental degradation that resulted in damage to water resources and may have caused harm to public health and the wellbeing of the population," Minas Gerais's environmental regulator Semad said in a statement. Semad also said it required the company to clean the stream where the spill occurred and resume water supply to the local population which was interrupted due to the incident. In a statement, Anglo said it was analyzing the notice from Semad. The company said it took "all measures to minimize the effects of the incidents on March 12 and 29," including cleaning the stream and being in contact with residents. The state watchdog also said it was still studying the second leak and would announce a fine in that case as well. Reporting by Marta Noguiera and Alexandra Alper.